This summer, in the midst of President Donald Trump's criticism of the Justice Department and Attorney General Jeff Sessions in particular, Sessions said during a private event that the U.S. legal system must be "based on law and based on facts" and "can't be politicized." 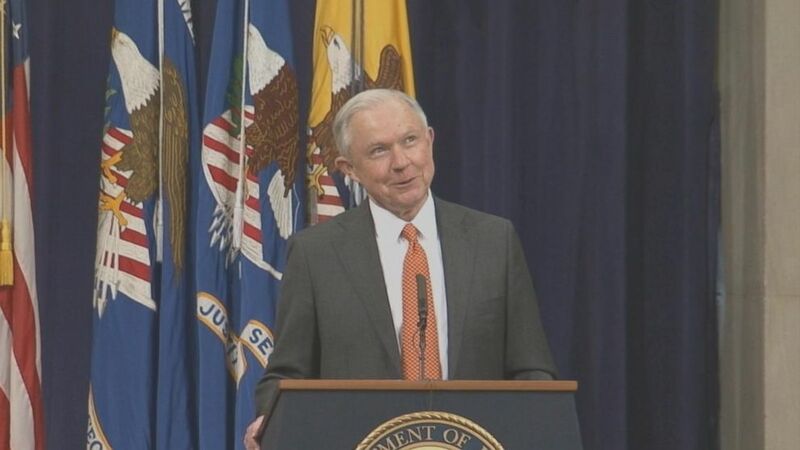 But when Justice Department interns attending the event started asking him questions, things got spirited — and an internal Justice Department video of the session, obtained by ABC News, offers a rare glimpse of what appears to be a less guarded Sessions. At one point, he seemed to mock a Justice Department intern for questioning whether marijuana is dangerous. He said cities like Chicago and Baltimore are now plagued with rising crime and murders because they "have abandoned traditional police activities." And he dismissed another intern's assertion that many Americans in poor, largely minority communities fear law enforcement officers. "I grew up in one of these communities," said the intern, who said he attends the University of California at Berkeley. "I grew up in a project to a single mother. And the people who we are afraid of are not necessarily our neighbors but the police." An apparently exasperated Sessions replied, "Well, that may be the view in Berkeley, but it's not the view" elsewhere. ABC News obtained video of the summer intern lecture series event featuring Sessions through a Freedom of Information Act request. For 25 minutes on June 22, Sessions took pointed questions from college students working at the department during the summer. In a statement today, a Justice Department spokeswoman said the event allowed students "to have robust conversations — even debates — about the challenges facing our country with the attorney general," adding that the department is "proud to provide hundreds of law students and undergraduates the opportunity to work with some of the finest lawyers in the country." During the event, one intern asked Sessions why he supports "pretty harsh policies for marijuana and pretty lax gun control laws" when "statistically guns kill significantly more people than marijuana does." In response, Sessions noted that more fatal accidents are now caused by drugs than by alcohol, and he said the American Medical Association "is crystal clear" that "marijuana is not a healthy substance." But when the intern challenged that assertion, Sessions seemed dismissive, addressing the intern as "Dr. Whatever Your Name Is." "I don't think America's going to be a better place if marijuana's sold in every corner grocery store," Sessions said. Before Sessions began taking questions, at the Justice Department's Great Hall, he joked, "I think I'm going to run out the back door." At the time, Trump was beginning an assault on Sessions. The president had publicly chided the Justice Department for endorsing a "watered-down, politically correct version" of his travel ban, and media reports continued to highlight Trump's private condemnations of Sessions for recusing himself from the FBI investigation of Russia's meddling in last year's presidential election. Coming at a turbulent period for Sessions, the back-and-forth with interns was a unique opportunity for them to question the nation's top cop. 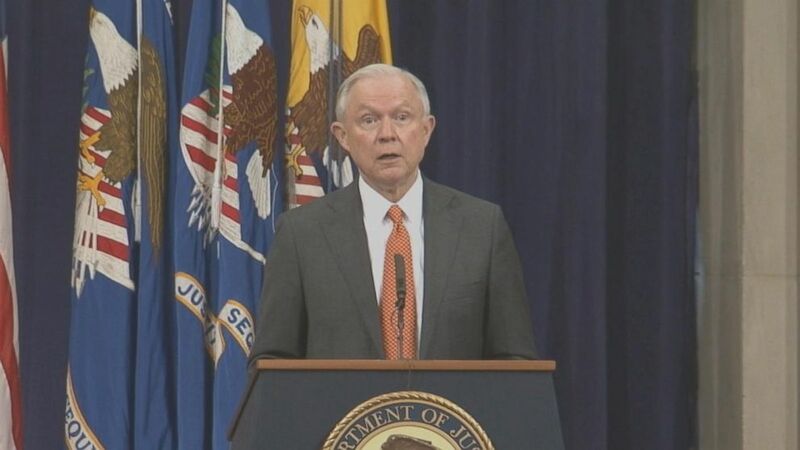 Outside of multiple interviews with Fox News since becoming attorney general, Sessions has offered other media outlets few chances to publicly press him about Justice Department policies. Just last week, during a press conference related to the opioid crisis ravaging communities across the country, Sessions' top spokeswoman blocked a reporter from asking him about his priorities related to civil rights, saying, "We'll take an on-topic question on opioids." 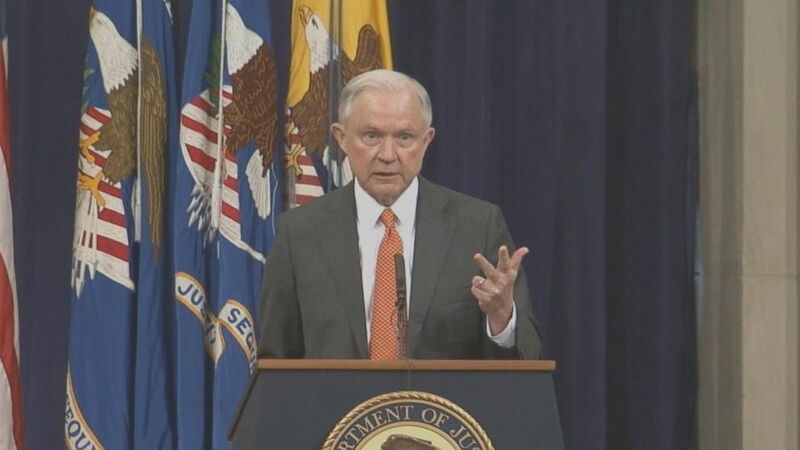 During the question-and-answer session in June, Sessions at times appeared flustered or meandering, but he spent most of it trying to explain his policies, defending his actions as based on the law and the Constitution. "I was grateful for the opportunity presented by the DOJ to directly speak to the U.S. Attorney General and ask something that I personally know was important to a lot of people," one of the students present, Courtney Hagle, told ABC News in an email. She and many others asked Sessions about the Justice Department's perceived unwillingness to help protect lesbian, gay, bisexual and transgender individuals. 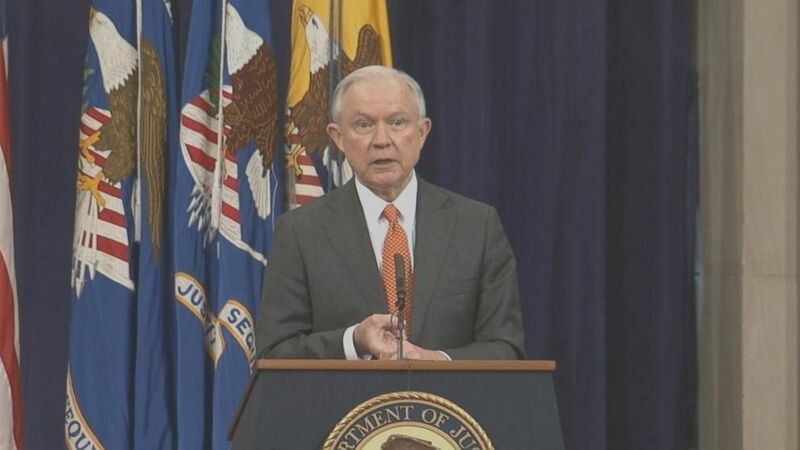 "We're going to protect the civil rights of everybody," Sessions promised, noting that he "personally directed" the Justice Department's civil rights division to review several murder cases involving transgender individuals. In February, Sessions backed a Trump administration decision to overturn Obama-era policies that said federal anti-discrimination laws meant students at schools across the country must be allowed to use the bathrooms corresponding to their gender identity. At the intern event in June, Sessions said the federal government "should let" states and local governments "manage their bathrooms" however they want. "I think it is very important for members of the LGBT community to know where the attorney general and the DOJ stand on issues of LGBT rights, especially considering recent moves made by the White House, such as moving to ban soldiers who are transgender from serving in our military," Hagle, a senior at Boston University, told ABC News. Hagle's question from the June session was previously disclosed, thanks to cellphone video from the time. ABC News obtained video of the entire session through the Freedom of Information Act request. At the event in June, many other questions addressed the opioid epidemic. In October, the Justice Department arrested John Kapoor, the former head of opioid manufacturer Insys Therapeutics, for his alleged role in a nationwide conspiracy to bribe doctors and others into unnecessarily prescribing the company's fentanyl-based pain medication to patients. He has pleaded not guilty and was released pending trial. Six other former executives were charged and arrested in the same case late last year. During the June event, Sessions wasn't the only one taking heated questions. After one intern lamented that "the Department of Justice will lose roughly 20 percent of its funding" if his pending budget request is approved, he demanded, "Where'd you get that 20 percent?" At first, the intern said she "read that" in a major U.S. newspaper, only to say later, "I'm not quite sure, sir." The department's budget request called for a 3.8 percent reduction in funding, and the Justice Department is just "going do more with less," Sessions said.